Wave-like muscle contractions, such as those used to move food through the digestive system. Wave-like muscle contractions, such as those used to move food through the digestive system. When you swallow, muscles in the oesophagus start to automatically squeeze and relax, pushing the food down towards the stomach. Some mammals, such as cattle and giraffes, use reverse peristalsis to move semi-digested food back up into their mouths so it can be re-chewed. This helps break down fibrous plant material, making it easier to digest. When you swallow, muscles in the oesophagus start to automatically squeeze and relax, pushing the food down towards the stomach. 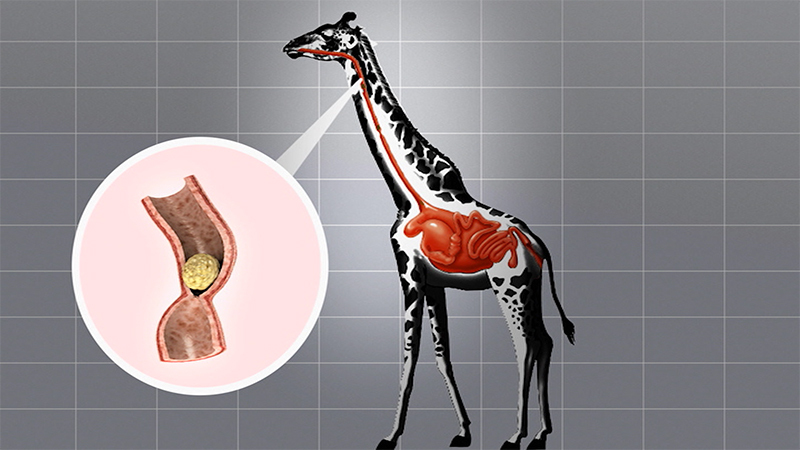 Some mammals, such as cattle and giraffes, use reverse peristalsis to move semi-digested food back up into their mouths so it can be re-chewed. This helps break down fibrous plant material, making it easier to digest.